I recently visited a tiny town in northern Texas that is famous for one thing: dinosaur tracks. As I walked through the river and stepped into gigantic tracks, I thought that these huge lizards had no inkling that so many years later bipedal mammals like me would be following their footsteps in wonder. It made me reflect over my career as an educator, and what kinds of impressions I have left in the hearts and minds of the many students I have taught. I would like to hope that the impressions I left were favorable, even memorable. One of the impressions I hope to have left is that students had success in their learning when they were in my class. What do I mean by success? I’m not talking about letter grades but rather students arriving at proficiency, or necessary knowledge. I aspire for my students to feel that what they’ve learned is worth remembering, that it is valuable because it is useful. I also want them to look back at our class and have fond memories of being actively engaged in learning. As a Spanish instructor, for example, I hope my students see that learning a language, though difficult, was an adventure and feel that their progress in being able to speak and understand this new language was a joy. Engineering this kind of successful learning experience for students takes everything a teacher has—and then more. It doesn’t happen by chance, or overnight. To engender this success in my students, I work to make sure they’re adequately prepared for evaluations by creating lessons that engage high cognitive demands, which develop mental pathways to long-term memory. What I mean by this is that I try to get my students to remember what they’ve learned through exploring and discovering and by applying their knowledge and skills to solve real-world problems; they then acquire new ideas and new knowledge. I provide my students with enough practice so that they can develop fluency, precision, and mastery. 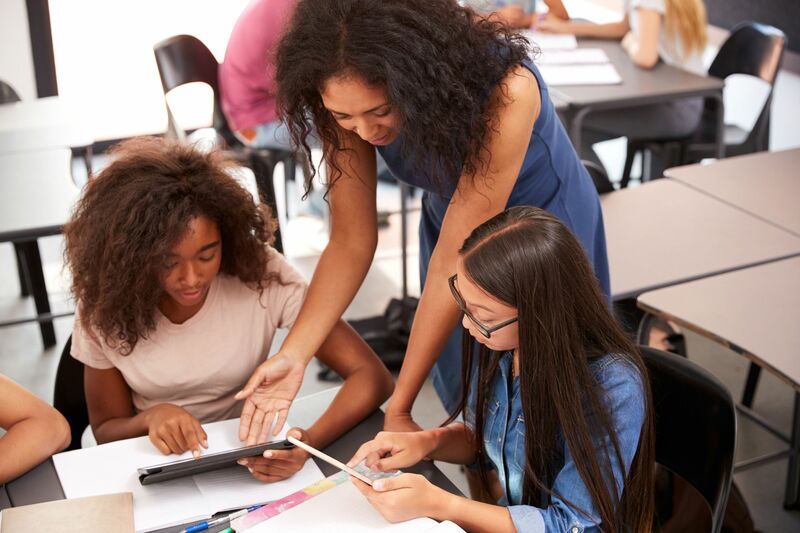 I plan for multiple learning opportunities—the Rule of Three approach—for each concept so that students are not just familiar with the concepts but conversant in them, meaning they know enough to be able to talk about them. This repetition also helps memory. Finally, I strive to provide enough feedback on their progress so that they know what they have accomplished and where they need more practice. This feedback could be oral responses to questions, short quizzes, role-plays, or even a simple handshake at the door while I ask them in Spanish what they enjoy eating for breakfast. Integral throughout each activity, this feedback is consistent. Ultimately, if students feel successful about their learning experiences in my classes, they will demonstrate confidence in their ability to use what they’ve learned. I love walking the halls of the school and speaking to current and former students in Spanish. I can tell those who feel intrinsically connected to their learning—they often smile as they respond in Spanish. Every time we show our excitement and enthusiasm about what we teach, we up the possibility of leaving positive impressions on our students about the subject we’re teaching. We need also to deliberately build frequent opportunities for students to experience progress and success in our classrooms. We then follow this with praise for their growth and encouragement to keep going. In doing this, we contribute to their journey of lifelong learning. My hope is that in five or 10 years, my former students will look back at their learning experiences in my classroom and fondly recall their relationships with the content and with me, and also how they felt as learners within the space. And that has nil to do with a letter grade.